On June 30tth, 1982 the now late Edwin Louis Cole's Maximized Manhood was published. Over a million copies were sold in the coming years. The success of the book impacted the Evangelical church in such a way that Cole became known as the "the father of the men's movement". One of the readers of Cole's book was Bill McCartney, who said of Cole "He has ministered to me, drawing out of me an intensity for Christianity that God has placed deep within me". McCartney later called Cole a "mentor". From there Coach Bill McCartney effectively harnessed the men's movement and exponentally increased it's size under the brand name of Promise Keepers. 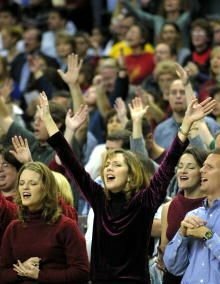 Between 1992 and 1997 men filled pro-stadiums across the country in repentence, worship and prayer. 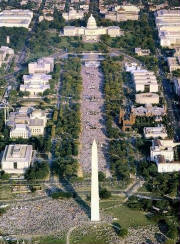 It culminated in one mass gathering on Saturday, October 4th, 1997 on the Mall in Washington D.C. Though the media generally refused to give numbers, the crowd of men easily exceeded a million in number. The presence of the Lord was there in a powerful way. Sins of racism were confessed. A turning from lust, greed and other sins were made. Worship filled the air. There was an open-heaven. And there was a powerful impact; Spiritually, socially, pschycologically and even politically. Time Magazine later chronicled something else that was happening the day before and the day after the men's prayer rally, but they never mentioned the rally. Their timeline struck me and when I double-checked the dates, something amazing occurred to me. There was Someone in the air during that period. Linda Trip, with the encouragement of her accomplice, Lucianne Goldberg, recorded conversations with Monica Lewinsky over the next several weeks, starting the day before the rally. These were not Evangelical women with affections for Christianity, just plain American women caught in a whirlwind of power. But it was on the day before (Friday, October 3rd) and the day after (Sunday, October 5th) that the recordings of conversations were made about a now infamous blue dress. Can there be any doubt that all three women, from the one who encouraged, to the one who recorded and to the one who willingly confided, were not inwardly contrasting what was happening on the Mall versus what they knew was happening in the Oval Office? Whatever the motivations of each individual, the rally played a major background role. 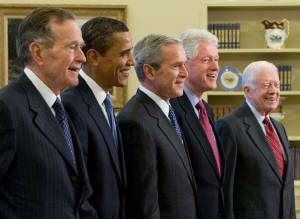 Without the blue dress, President Clinton would not have been forced to acknowledge to an entire nation that he had misrepresented what had happened with Monica Lewisnky. And without this scandal, odds are that George W. Bush, might not have secured a controversial election by a single Supreme Court Justice's vote. Not long into the Bush 43 Presidency, two girls captured the eyes of the world. 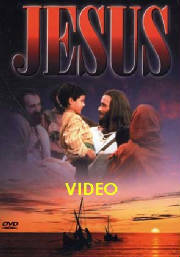 On August 3rd, 2001, two young American aid workers in Afghanistan, Dayna Curry and Heather Mercer, were arrested by the Taliban for sharing evangelistic Jesus Videos which had been produced by Campus Crusade for Christ International head-quartered in Orlando, Florida. Like a post-modern day Daniel, these two stood in the face of the most hostile regime toward the Gospel. They stood at risk to their own lives. Christians around the world began to intercede in prayer. The expected death sentence was to be interrupted by an impending change of events, but it is important to note that the attention of the world focused on these two brave women. 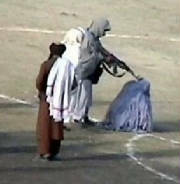 And predictable anger arose in the hearts of those in control of Afghanistan, namely the Taliban and Al Qaeda. 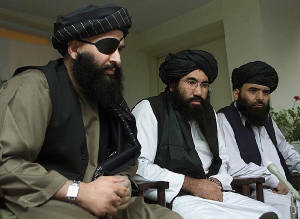 Though they had been planning for years another attack on U.S. soil since the failed Islamic bombing of the World Trade Center on February 26th, 1993, Al Qaeda had not launched in all those years. Their actual planning began in 1996. But it was during the weeks swirling around these Christian girls that an order was finally made. 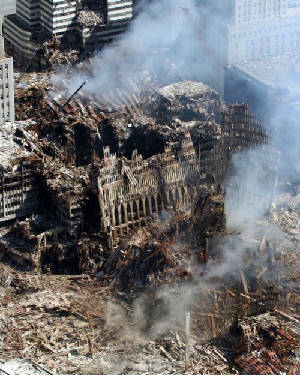 According to an Al-Jazeera documentary, it was only three weeks before September 11, 2001 "when targets were assigned to four teams, with three of them bearing a code name: The U.S. Capitol was called 'The Faculty of Law;' the Pentagon became 'The Faculty of Fine Arts;' and the North Tower of the World Trade Center was code-named by Atta as 'The Faculty of Town Planning.'" On Tuesday, September 11th, 2001 the world changed forever. A Presidency was transformed, a nation challenged and international hostilities increased. Two different wars would follow. And on their heels, thousands of evangelical Christian ministries rode into arenas where they had been previously unable to touch; And with tremendous results.